Nowadays, HTML Bootstrap is very popular in the market since they provide a lot of benefits. First of all, it does not need deep knowledge of programming since the most of the work is already done. You will just need any HTML editor, for instance, Adobe Dreamweaver to alter already existing design based on your preferences, taste, and desire. Secondly, Bootstrap templates have a responsive design which means that it can be accessed through any device like computers, laptops, cell phones, tablets and etc. But the best thing about responsive design is that it will change based on which gadget is used to access the website. 1. Main Page: This is the section where all the pages and important information are presented. When the customer will access the website, this is the first thing that he/she will see. Moreover, when the website is opened, automatically will show up the "News Letter" window, were customers can subscribe to your mailing list and receive information about updates of new products and arrivals. At the upper part of the page, there are provided two buttons, one for currency and other for language. Using these buttons your customers will be able to receive information in their desired language and currency. Also, customers can create their own accounts in order to purchase products and afterward to track them. Each customer will have a cart to see what products he/she is about to buy. The button My Cart has also pop up quick view, to briefly look through the products that are in it. 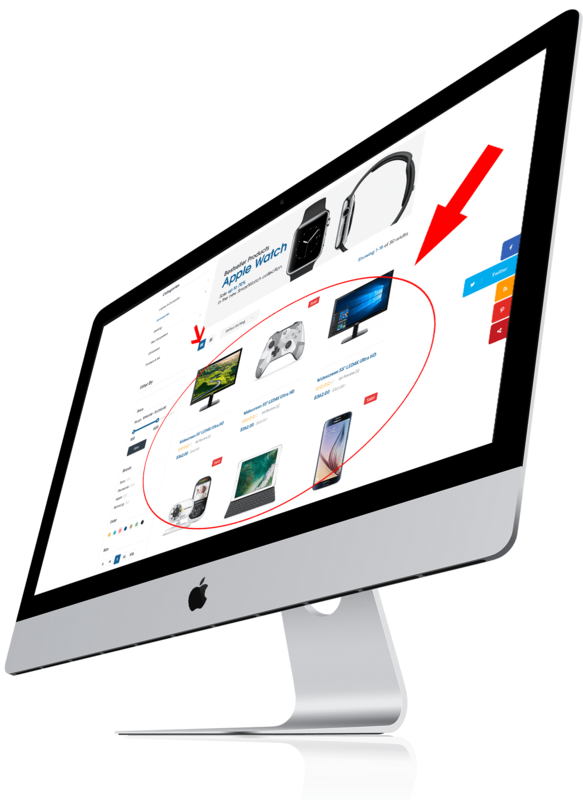 On the main page, there is also separate space for banners which can be used to represent the newest gadgets or simply use it as a space for advertisements. We also incorporated the slow slideshow on the main page, which allows presenting better products to the potential customers. The presented pictures will slowly interchange when customers will view the website. And customers can also sort the products based on their price or popularity, this choice is entirely on them. In this page is also incorporated the filter which will help customers to find the desired product. The product list can be filtered by price range, Brands, Color, and Size. We decided to include the Color and Size as well while the e-commerce Bootstrap template can also be used to open the online garment store. By clicking on the specific product, the customer will receive a thorough description of it and also images from multiple angles. 3. Pages: Here are included all the pages that have been discussed above like home page, product listing page, product description page, shopping cart and check out page. 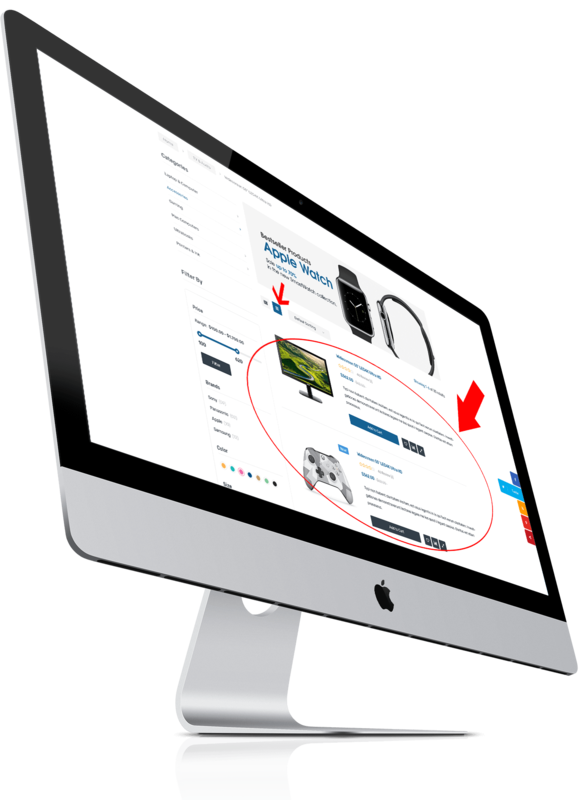 It also includes the Blog where you will be able to post some interesting articles related to your online store and activities. A blog can have different layout designs, for instance, it can have left or right sidebars and posts displayed either on the left or right side. We also included 404 Page which might be useful for you, if there will be some pages of the website still going under the construction. As you see this Flextop E-commerce Bootstrap Template has everything that is needed to launch a highly functional e-commerce store. 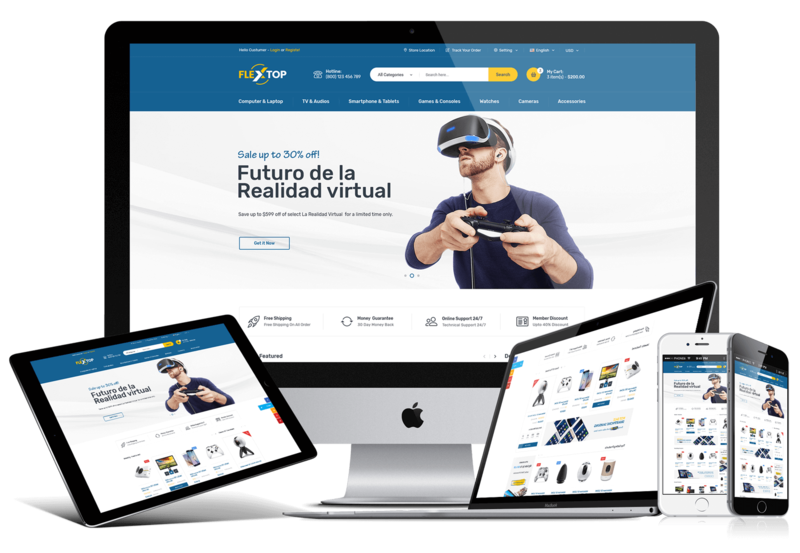 In the near future, we also plan to create the woo-commerce theme, add some new pages and offer different design versions of the home page. If you have any questions, feel free to leave them in the comment section and our support team will answer them very quickly. We will offer a video tutorial to respond to your questions fully and facilitate the explanation processes. Merabino Vachini is available for freelance work at $99/h rate.